Carissa Markel doesn’t know who this man chained to the wall is, but he’s her only chance for escape. She has power, but, born without a voice, she lacks the means to wield it. One choice, made in desperation, sends them running for their lives. Does she have the strength to help him clear his name? And what will her brother, the King of Dragons, do if he finds out what she’s done? The real questions is… can she keep her hands off him long enough to find out? But there is more going on than there seems. 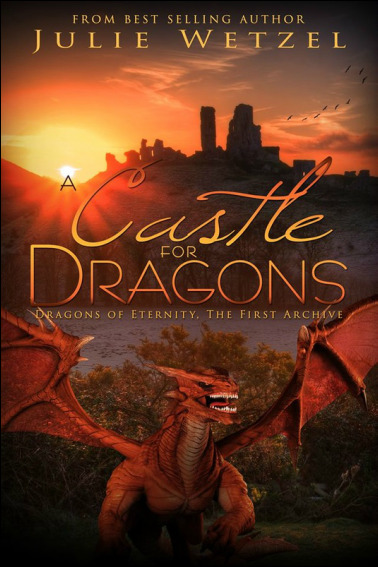 When other dragons are sighted in the area, the town sends their maidens to their new lord for protection… and Patrick’s life becomes a lot more complicated. With the dragon he’s hunting acting odd and a castle filled with women distracting him, how is he supposed to do the job he was sent for? And what are the ladies going to do when they find out he’s the other dragon in the area? This story is a historical fiction set in the world of Eternity. Content Disclosure Form ﻿Now on Amazon!